Ritsu was abandoned by his mother Reiko when he was little, so now he belongs in the lower social strata. One day, Ritsu gets involved in a case and his head is severely injured, so he can die at anytime. Convinced she abandoned him due to poverty, Ritsu attempts to find his mother and be good to her before his death. But when he learns that she is leading a happy life instead, with her pianist son Satoru, he decides to take revenge on his mother. Ritsu then meets Rinka, a girl whom he happened to help in the past, and discovers she is Satoru’s childhood friend. I expected quality from this drama, but instead it was a drama to be desired. The adaptation was good, in the first two minutes, we see the character of Yoshioka Riho, Rinka, wandering the places where he met Ritsu. Ritsu protected his brother with his life practically, so that the medical prognosis of his imminent death, explaining and demonstrating this in the story of "Gomen, Aishiteru." Invisible Rinka who likes Satoru who does not like her, will eventually realize that Ritsu likes her, but ... why would Ritsu like her? Ritsu did not express any interest to any woman, not even his own childhood friend with whom he is staying, Wakana, portrayed by the wonderful Ikewaki Chiruzu, but I would say that his bond with his gangstar-brother back in Korea had many more romantic flames . 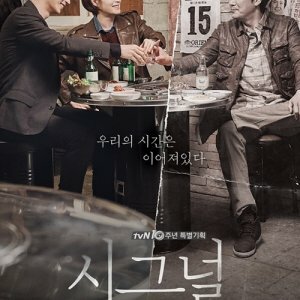 The cast did a great job and the soundtrack is also good ... so anything else matters for a reasonable drama like this. So, I finished watching Gomen, Aishiteru. It was one of the most emotionally invested Japanese dramas I’ve ever seen. It has a lot of heart and warmth in it without saying so much. The simplicity in its storytelling was what drawn me to it. I know that Japanese dramas like to emphasize on their characters’ and stories’ quirks. Sometimes a bit too much to the point of making no sense at all. Currently I’m watching Quartet and after a few minutes in, I was already bombarded with the characters talking incessantly about lemon and karage. One more thing I noticed is that love stories in Japanese dramas nowadays seem so dry and detached. And they also tend to glorify extramarital affairs a lot lately. Gomen Aishiteru also has the extramarital affair bit but it has been handled well. And nothing good comes out of extramarital affairs. In addition to that, Gomen Aishiteru has that 90’s - early 2000’s romance feel that I missed so much. Granted that it was a remake of Mianhada Saranghanda and they could have done it with Japanese drama’s quirkiness. But I’m glad that they actually remained faithful to the original version and interpreted it with Japanese drama’s sensibilities. 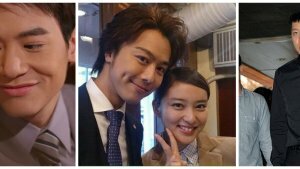 Like Tomoya Nagase said, it was more of a tribute/homage to the original version of the drama. I also liked how the Japanese version treated the story differently. And I realized that Gomen Aishiteru was more about Ritsu’s journey and how the people around him affected by it rather than his destination. Several changes have been made to the story which I think for the better. Its ambiguous ending is what makes Japanese dramas special. They didn’t give you the answer right away, instead they left it all to us to make our own interpretation because life is like that. 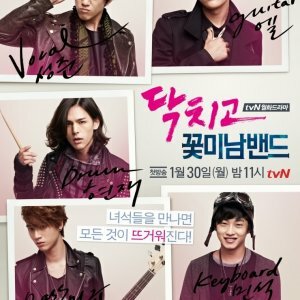 Moving on to the performances, the cast did a great job at playing their roles effortlessly. Chizuru Ikewaki was flawless as Kawai Wakana, Baijaku Nakamura as Mita Tsuneo was good, though there were moments where he was over the top which I think it’s necessary for the character. Ayaka Onishi made an impact as commitment-free Furusawa Touko. Kentaro Sakaguchi shone as Ritsu’s privileged and pampered but terminally ill step-brother, Hyuga Satoru who was selfish at times that he had hurt Rinka emotionally because he was so obsessed with Touko. Otake Shinobu as Hyuga Reiko was interesting as the ‘hateful’ person which I kinda empathize for her later on because yes, she made a huge mistake but at the same time she also suffered the consequences for what she had done and I think it’s unfair. Riho Yoshioka as naive and faithful Mita Rinka was excellent. She was the anchor of Ritsu’s and Satoru’s lives. The difference is that Satoru manipulated her for his own security while Ritsu saw her as an equal. I also liked that Rinka was someone who in someway a strong character and had the courage to move on with her life when she needs to because she knew that Ritsu wanted her to be happy no matter what. Last but definitely not the least, Tomoya Nagase. He was spectacular as Okazaki Ritsu. He has proved time and again that he’s one of the best actors in Japan and extremely underrated. Okazaki Ritsu is the best character that he has ever played. He was passionate, melancholic, emotional, vulnerable and awkward at times when it comes to love because he had never experienced it before Rinka came into his life. There was a lot of warmth and empathy for the people around him even though he himself was suffering and had gone through a lot of pain in his life. Apart from that, the way Tomoya portrayed Ritsu and emoted through his eyes and facial expressions without saying anything were incredible. His appearance in the drama was also different from that of Fragile, his previous drama. He was unkempt and rough in this drama which implied that he was not well taken care of with only a few clothes on his back when he arrived in Japan, looking for his mother. These subtle changes are what made Ritsu comes alive. Another thing that I love about this drama was the characters development. It was subtle change in the characters’ behaviour that moved the plot seamlessly. The theme song “Forevermore” by Hikaru Utada could have been better and I wish it was more mellow. But good song nevertheless. The cinematography was top notch. It gave the drama a melancholic feel with its greyish and yellowish tones, and as the drama progressed, the colors became even more stark and gloomy as if they were depicting Ritsu’s pain and sadness. The directors, Ishii Yasuharu, Mizuta Naruhide, Ueda Hisashi did fantastic jobs at making the story flowed so smoothly. And I love the background score of the drama. Gomen Aishiteru has become one of my favourite Tomoya’s dramas of all time. I’d like to thank the people who casted him as Ritsu and tapped into his different range of emotions that are beyond his comedic ones. I can’t wait for Soratobu Tire to release this June 2018 and I’m sure he’s going to rock as Akamatsu Tokuro too.